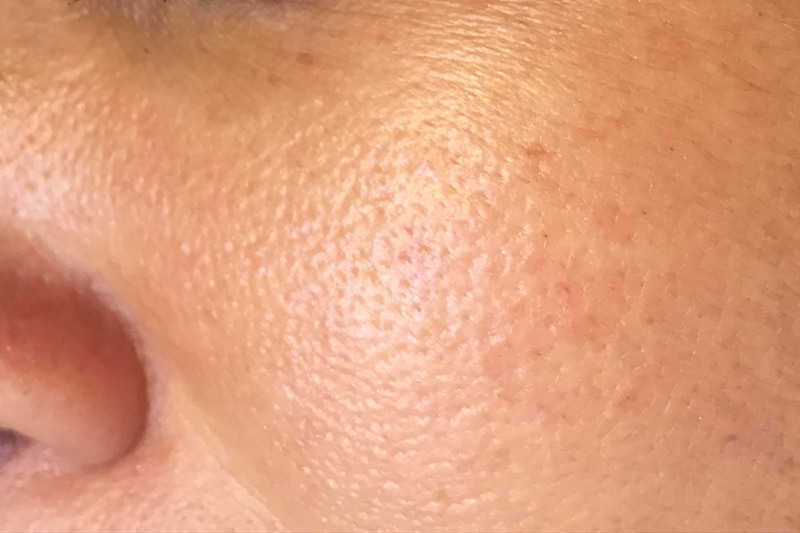 What are enlarged (visible) pores? Pores are hair follicle openings to allow the release of sweat and other body toxins. Enlarged pores are more visible and this can lead to more breakouts as well as looking unsightly. Enlarged pores tend to be found on oily and/or aging skin where they can get clogged with debris and oils, like sebum, more easily than normal pores. As the skin ages sebaceous gland, cell renewal activity and collagen and elastin production slows down, producing an increase in the appearance of visible pores. Genetics and smoking are also major causes. We offer a range of skin treatments for reducing the appearance of visible and enlarged pores. Why not book a consultation with one of our anti-ageing skincare therapists. They will examine your skin and pores, answer your questions and recommend the best skincare treatments for you.